Neck Extension is that piece of fabric that covers your chest and back that can be worn under you shirts for chest and back coverage. They are also known as dickies...The example I have here I bought in Egypt and I find it too short, who wants to be tugging all day long??? I promised a sister a while back that I would do this tutorial and it’s finally here!! I really hope that you all make use of this video as these are so simple to make!! I didn’t end up doing a hem because you can’t see it and stretch material doesn’t unravel. Please don’t hesitate to ask questions if you are a bit confused on some parts! I am so pleased to say that I have finally found someone to design my logo and I have to say that I am very pleased with it. With that being done I can have my labels made and Insha’Allah I will go into production early September. So ladies, what would you like to learn??? Email me at hijabizlovefashiontoo@gmail.com and let know. 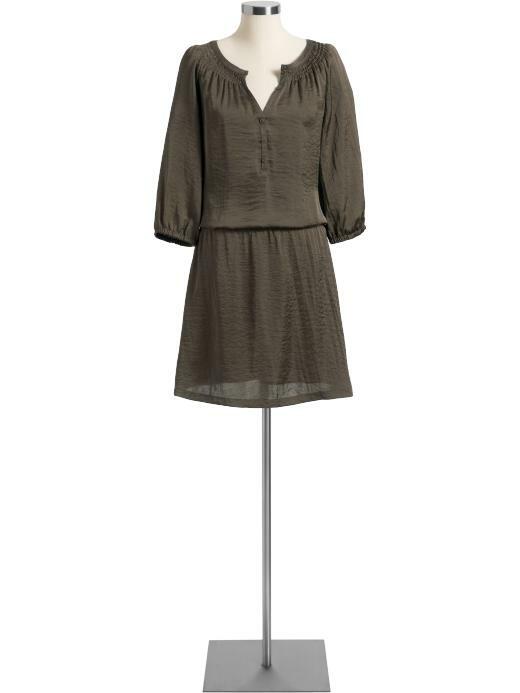 Since it’s summer right now, it’s the perfect time to go dress hunting!! 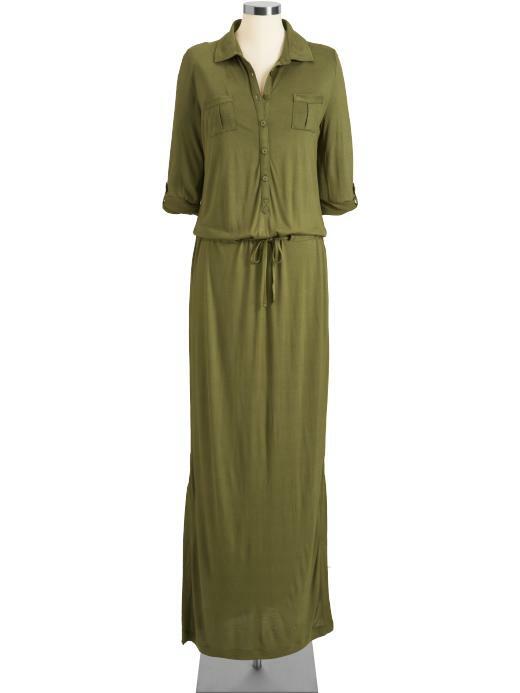 Maxi dresses and Tunic styles we love! So that time has finally arrived and it’s one of my favorite times of the year. I know I’m a day late, but I wasn’t feeling well yesterday, but I feel fabulous today, SUBHAN’ALLAH and here I am. I’ll try my best to do a few tutorials this month, but I won’t promise. Ramadan is a time to reflect, ask ALLAH SWT to forgive us for our sins, read the Quran and bringing ourselves closer to Allah. I also love this time of year for the time I get to spend with my family. I love sitting and reading the Quran next to my husband and waking up early for suhoor with him. This year is a little special for me, my son is almost 2 and he understands a lot. He even mimics us in prayer, it’s the cutest thing! 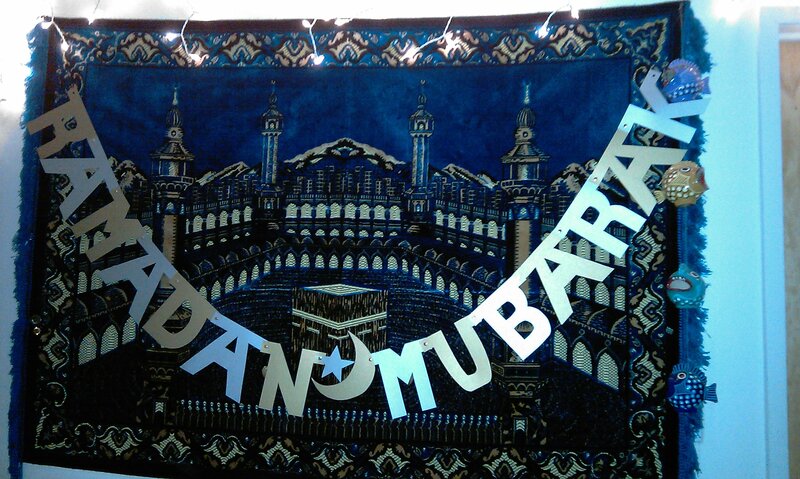 Anyways, I want him to see how special Ramadan is, Islamic holidays in general, so we decorated our house and I even made a Ramadan sign pictured above. I made poster boards so that my non-Muslim family members can read and understand why we fast and what’s involved in it and a bit about Islam. The decor isn’t crazy, just a little lighting around the house which we light up at magrib time until we go to bed. And for Eid I’m going to make it a little more festive. I think it’s really important to make our holidays special for our kids, this way they get involved with decorating and we make Islamic holidays special for them and they won’t feel like non-Islamic holidays are better.